PLO Lumumba rural home under full security surveillance following siege threats after he represented IEBC in Supreme court. - Bana Kenya News, Real African Network Tubanane. Home featured News PLO Lumumba rural home under full security surveillance following siege threats after he represented IEBC in Supreme court. PLO Lumumba rural home under full security surveillance following siege threats after he represented IEBC in Supreme court. The people of Siaya in Nyanza live in fears after a speculated gang are targeting the home of the IEBC lawyer PLO Lumumba. The NSIS have revealed that people are targeting the home of the lawyer because he represents IEBC than NASA as their home party. Police have beefed up security at the rural home of lawyer PLO Lumumba in Siaya County after workers there allegedly received death threats from unknown people. Area OCPD Paul Kiarie, who spent the entire Tuesday at the homestead in Usigu Division, Bondo sub-county, investigating the source of the alleged threat, said four police officers have been stationed at the home. Mr Kiarie said police have received intelligence indicating that some people were planning to attack and destroy property at the home because of Lumumba’s remarks during the hearing of the presidential petition at the Supreme Court. 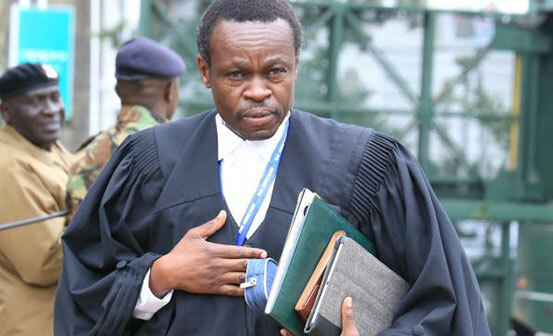 Lumumba, who was representing IEBC in the case, has been viewed as a traitor by some NASA supporters and has been heavily trolled on social media by the alliance’s supporters since Monday evening after he represented his client.